Today’s BHD post is going to be another quick post as I’ve got a lot of stuff going on to get ready for surgery next week and I’m also working on the next Marty Monologues show. Chelsie Tamms from Lettering Works has updated the logo for the Marty Monologues facecrack page and we’re going to have merchandise with the logo and design this time around for sale at the show and after party. My plan for this is to do the next show in Peoria, Chicago and New York all in the same week! I’ve got the first two dates all set up already and here they are. This is the theatre where we debuted the first show and it went great. This will follow the same template as that one, only there’s going to be all new stories, songs and this time I’m making snack trays for three lucky audience members! Sarah Marie Dillard and Brandon Mooberry will be playing live music and DJ juanGoblin will be spinning tunes between the stories while I make a snack tray for a lucky audience member to share with his or her neighbors. This show is going to have a theme to it and more about that will be revealed as it develops! I just booked this date in Chicago this week. The Cornservatory is a cool theatre that’s been in operation for over 25 years in Chicago. It’s located at 4210 N. Lincoln Avenue and while they don’t sell beer there, you can bring your own in! I’m currently setting up live music from local Chicago musicians for this show. I’m still looking to book a theatre in New York and hopefully will get that done before my surgery next week. I’m really excited about this next show and the tour. The timing for my surgery next week is good because I’ll be stuck at home quite a bit following it and I can work on the stories for the show then. I’ll have more updates as things develop! 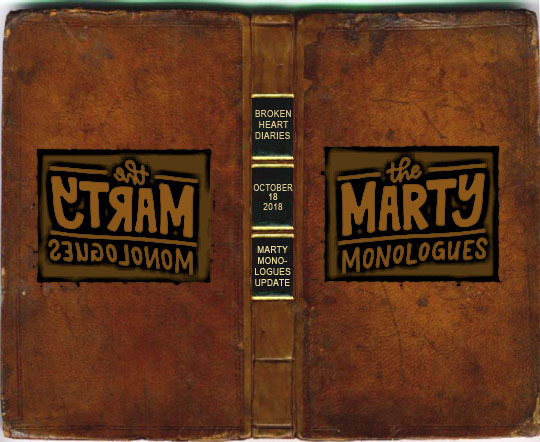 I mentioned the Marty Monologues facecrack page and here’s a photo of it on the MBIP Computer. 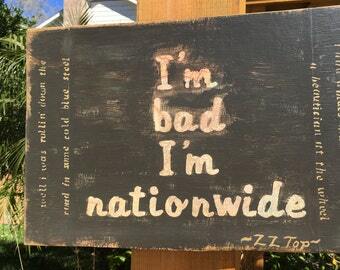 Stop by and give it a “like” if you can!